Dear blogging friends, hear me out: Don’t let the cover or the topic of this book (yes, it is about parasites) send you running. 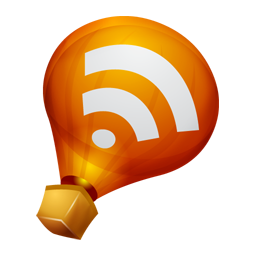 Let me first explain why you do, in fact, want to read Parasite Rex. You know when an author writes about a subject you never knew you cared about with such passion that you can’t help but have their interest rub off on you? That was my experience with Parasite Rex. Parasites have been neglected for decades, but recently they caught the attention of many scientists. It has taken a long time for scientists to appreciate the sophisticated adaptations parasites have made to their inner world, because it is so hard to get a glimpse of it. Parasites can castrate their hosts and then take over their minds. An inch-long fluke can fool or complex immune system into thinking it as harmless as our own blood. A wasp can insert its own genes into the cells of a caterpillar to shut down the caterpillar’s immune system. Only now are scientists thinking seriously about how parasites may be as important to ecosystems as lions and leopards. And only now are they realizing that parasites have been a dominant force, perhaps the dominant force, in the evolution of life. Many of us hold the deeply entrenched idea that evolution is directional and progressive: invertebrates are more primitive than vertebrates, mammals are the most evolved of vertebrates, primates are the genetically fanciest mammals, and so forth. Some of my best students consistently fall for that one, no matter how much I drone on in lectures. If you buy into that idea big-time, you’re not just wrong, you’re not all that many steps away from a philosophy that has humans directionally evolved as well, with the most evolved being northern Europeans with a taste for schnitzel and goose-stepping. As Zimmer points out when he tells us about parasitology in Victorian times, many of the scientists that despised them did subscribe to this philosophy, and often used parasites as metaphors for those they deemed socially undesirable. Fortunately, just like there’s been a shift in the way science views issues like class or ethnicity, there has been a change in how parasites are viewed. Parasites are, in fact, very complex organisms, and their impact on their hosts over the millennia is significant enough for them to be one of the driving forces behind evolution, or even possibly the reason why sexual reproduction exists at all. And the things they can do! A parasite’s existence is a constant battle of wits with its hosts’ immune system. Mostly it’s not in their best interest to actually kill their hosts, for obvious reasons, but some of their tricks include castration, mutilation, disfiguration, and zombification—what Zimmer refers to “parasitic voodoo”. To put it simply, some parasite exert complete mind control over their hosts. They become their new brain; or, to steal another one of Zimmer’s metaphors, the hand inside the puppet. It’s like something out of a horror movie—except, of course, it’s the other way around. It’s horror movies that are often straight out of nature. Carl Zimmer also writes about how this shift in our perception of parasites can be seen in modern horror and science-fiction. Alien is horrifying exactly because it’s pretty biologically accurate. And that scares us. Parasite Rex is seriously fascinating. It’s not a book for the squeamish, but it’s so much more than a collection of “eww” moments. As one of the parasitologists Zimmer interview says, once you get to know them, parasites are not all that icky. They’re interesting creatures, and also adversaries worthy of our respect. Actually, “adversaries” is the wrong word altogether, as the stories about parasites being used as a form of biological pest control show. Just like the rest of nature, they can be useful, but they don't exist to serve us. Regardless of whether they work in our interest or against it, they’re important part of the ecosystems they belong to, and they're certainly worth taking notice of. In case you’re wondering, the book is completely accessible to people without much of a science background—I should know, because I’m one of them. It’s also fantastically written: as you might have realised by now, Zimmer has a knack for metaphor, and he knows how to get his ideas across in a colourful and exciting way. 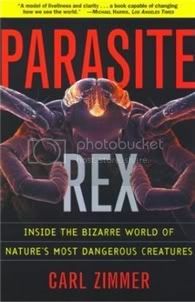 Parasite Rex reads like a nature thriller. And like all my favourite science books, it’s a very humbling read. Simply living within another organist—locating it, travelling through it, finding food and a mate inside, altering the cells that surround it, outwitting its defences—is a tremendous evolutionary accomplishment. But parasites such as Sacculina do more: they control their hosts, becoming in effect their new brains, and turning them into new creatures. It is as if the host itself is simply a puppet, and the parasite is the hand inside. But all these works do have something in common: they play on a universal, deep-seated fear of parasites. This horror is new, and for that reason it’s interesting. There was a time when parasites were treated with contempt, when they stood for the undesirable, weak elements of society that got in the way of its progress. Now the parasites have gone from weak to strong, and now fear has replaced contempt. Psychiatrists actually recognize a condition they call delusional parasiotisis—a terror of being attacked by parasites. The old parasite metaphors, the ones used by people like Hitler and Drummond, were remarkably precise in their biology. And, judging from movies like Alien and The Faculty, so is the new one. It’s not just a fear of being killed; it’s a fear of being controlled from within by something other than our own minds, being used for someone else’s ends. It’s a fear of becoming a flour beetle controlled by a tapeworm. We still go through life pretending that we are exalted above other animals, but we know that we too are collections of cells that work together, kept harmonized not by an angel but by chemical signs. If an organism can control those signs—an organism like a parasite—then it can control us. Parasites look at us coldly—as food, or perhaps as a vehicle. When an alien bursts our of a movie actor’s chest, it bursts through our pretences to be more than brilliant creatures. It is nature itself that is bursting through, and it terrifies us. The cover is in fact a put off even if I am interested in the topic and I really am very interested in parasites. Oh! I just picked up a different Carl Zimmer book from library last night on a total whim! Yay for reading synchronicity! It's called Microcosm & from what I gathered it's about E.coli and human life. I don't think this book is for me, since I am not interested in this subject, but I am glad that you enjoyed it! I can't help but squirm whilst reading this. I keep thinking of Jeff Goldblume in The Fly. I am not keen on parasites at all, so I will give this one a miss, but I am pleased that you like it. I had a friend in Wisconsin who was an entimologist (sp) and he told us all the time these horrible stories about bugs and parasites. Jason found them fascinating - I actually think he'd like this book a lot. But I'm like a couple others who commented about - this subject just makes me squirm. I'm not sure how I made it through Peeps, really. It has to have something to do with the marvelousness that is Scott Westerfeld! Wow! This seems like a really great book. I became interested in parasites because of Peeps, too, and I made it through the icky bug bits in The Lost City of Z alright. So maybe I'll like this book! I'm definitely going to try it. I suspect it goes without saying that I totally want to kiss you for this review, right? I admit at first from the cover I thought it would be a science fiction book! I think parasites are very interesting, especially once you get over the sensation of grossness! This sounds great! This one looks endlessly disturbing and endlessly awesome! Right up my alley. You never fail to amaze me with your varied book selections! I admit it's very unlikely I won't read this book. BUT, that said, I'm glad it's written and that it has an audience because it's one of those things we need experts in. But I am not that expert! That cover is pretty scary, but this looks like just the kind of book that would fascinate me. I dind't read your entire review because I want to approach the book fresh, so I'll come back after I've read it! That is a classic bad cover!! I just laughed so loud, I scared my cats. Let me start by saying THANK YOU for the initial introduction there...yeah, the cover and title...not so much a draw for me. After reading your review, I can definitely see how this book gains it's merit, and I certainly know of a view readers that I will be recommending your recommendation to...thanks for sharing! I can't stand to look at the cover but the way you describe the contents of this book...it sounds like it is right up my alley! Sorry- unlikely that I WILL be reading that. Ugh- typos everywhere! Great review of a great book. You make me want to read it again! I thought from the cover that it was a sci-fi book too! I have always enjoyed science writing, and this one sounds like an enjoyable read. Great review! Zimmer is one of my favorite living science authors (he also writes a lovely blog), and this is my favorite book of his. Alas, no one ever trusts me when I tell them it's awesome, because I do have a science background, specifically in infectious disease microbiology. Nice to know my perspective isn't totally skewed! Two words : VERY COOL. I feel like a very bad biologist for not having read this yet. I got the chicken pox as an adult shortly after reading this book years and years ago, Ana, so the virus/parasite book combination coming so close in time was a more than adequate reminder that I shouldn't have any illusions about where humans stand on the food chain so to speak. I remember it as a fascinating read, but that cover still kind of grosses me out even though I'm not easily grossed out! Violet: It was a little bit, but mostly just fascinating. Jeane, I hope you enjoy it as much as I did! Rich, thank you SO much for giving it to me :D Who knows when I'd have read it otherwise. corvustristis: Eek! I can imagine how fun :S But no, your perspective isn't skewed! This humanities major loved it to bits. Fyrefly: lol, your co-worker should definitely read Peeps in preparation. And you should read this, though you're NOT a bad biologist. Richard: The cover IS disturbing, yes. Which is why I thought it safer to start the post with an appeal :P I really love how humbling science books can be. It's kind of scary to realise how frail we really are, but then again it depends on how we look at the issue. The thought of any kind of little bug/parasite just gives me the creepy-crawlies. When I was a kid, if there was a picture of of a parasite in a magazine, I couldn't even bear to touch the page. I really don't mind that they exist, I just prefer to live in ignorance of what they look like and where they might be. I'm fascinated after reading your review! I would have completely sidestepped this one otherwise. Thanks for the heads up and recommendation, Ana! Strangely I'm attracted to the cover but I'm not sure if I'd react the same way if I see the real thing. This is an interesting book and you wrote a great review. It's fascinating! I am oddly fascinated by this subject and your review really lit a fire under me to grab a copy of this book. It sounds extremely interesting and like something that I would really enjoy. Going right now to see where I can find a copy. Thanks for the excellent review on this book! Despite your intriguing review, I must give this book a pass. Most likely I'd end up with nightmares of the world being taken over by parasites. I think I prefer my horror to be found in fiction instead of real life.